Description: An awesome alternative to a traditional lounge pant! 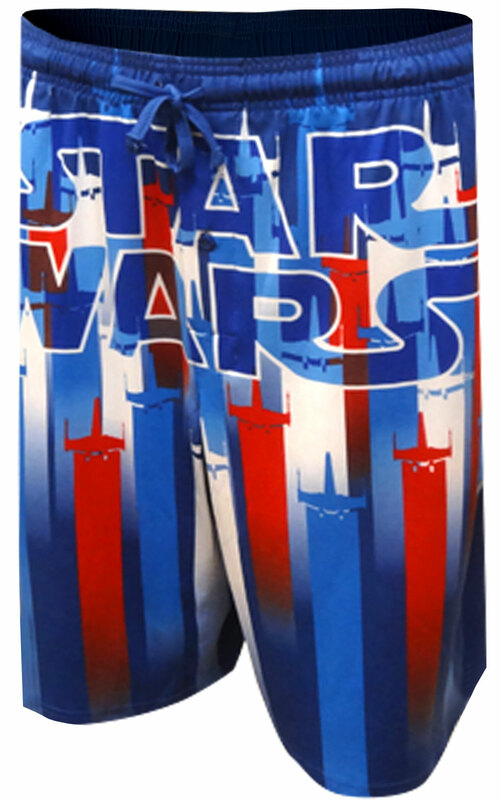 These long sleep shorts for men feature the Star Wars logo on a red, white and blue patriotic theme background. Perfect for lounging around the house in the warmer weather. Made from performance fabric, with button fly, two pockets and drawstring and elastic waist. These briefs are amazing. I wear a pair each day. Mine have lasted 2 years. Washed well.